Goodwin Pool Camp is the historic center of Sumatanga. The is where we began in the early 1950's. Many great memories have come from this side of the creek. As you cross over the bridge into Pool Camp you can see the old spring fed pool where Pool Camp got it's name. Nine rustic cabins surround Pool Camp. They are great for any age group who love the "Camp" feel. 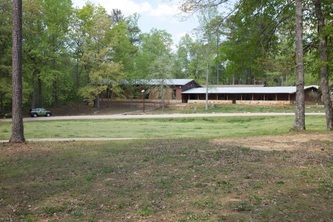 The Assembly Hall is popular for retreats and assemblies with up to 250 people. Attached are eight classrooms for small group settings. The game field, fondly referred to as "the Chigger Bowl", is right in the heart of pool camp. Field events and activities are held here year round. 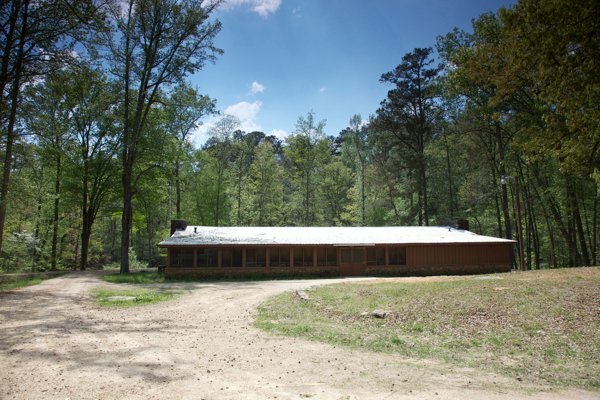 Pool Camp also features three other large buildings (Bessemer, Gibbs, and the Craft Hut) for meeting spaces or programs. Two winged cabin, each wing sleeps 14 and has its own bathroom. A common room sleeps 2 and separates the wings. Two winged cabin, each wing sleeps 14. Common room sleeps 2 and separates the wings. Common bathroom is shared for whole cabin. 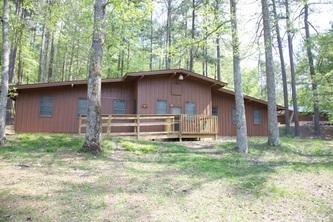 Two winged cabin, each with bathroom and semi-private rooms with bunks. 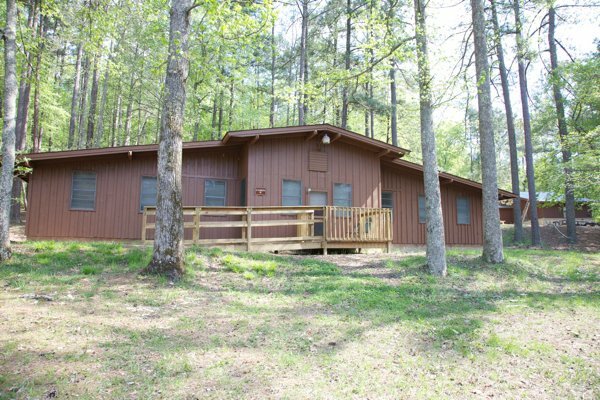 Sleeps 31 total. Kitchen and common room. The Pool Camp Assembly Hall seats 250. Each of the 8 attached open air classrooms seat 20.